A human rights arts festival was forced to move venues less than 72 hours before the premiere due to a complaint about LGBT performances. The International Human Rights Art Festival was set to premiere at the Saint Mary’s Church in New York City, however less than three days before the opening, the Church retracted permission to use the venue. New York Archbishop Cardinal Timothy Dolan was responsible for the complaint, which left festival organisers scrambling to find a new venue at short notice. The Catholic Church has had a difficult history with LGBT+ rights with Pope Francis declaring that the Church will never accept marriage equality, and supporting the use of gay ‘cure’ therapy. In 2015, the Church went as far as to ban transgender people from being godparents. The Church did offer to host the arts festival again, provided that the two shows were removed from the programming. The festival refused this attempt at compromise and began looking for another venue. The festival was produced with the Culture Project, which hoped to use Saint Mary’s 9000-square foot as their new performance space. 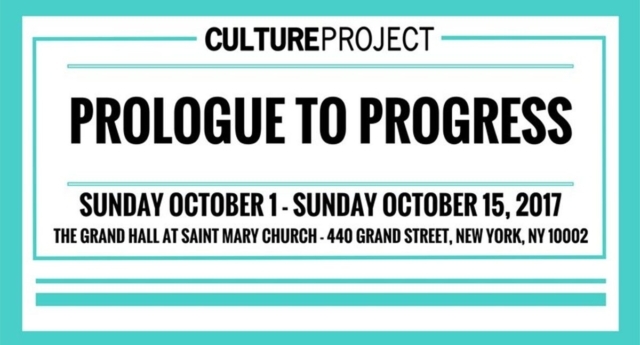 Founder of the Culture Project Allan Buchman said that whilst the festival was told to be sensitive with the content performed, he claimed that this was said to prevent profanity, not LGBT+ content. Buchman emphasised that it was never said that LGBT+ work would come under this scrutiny. The festival was able to find a more welcoming venue in Episcopal church St. Ann and the Holy Trinity Church in Brooklyn.